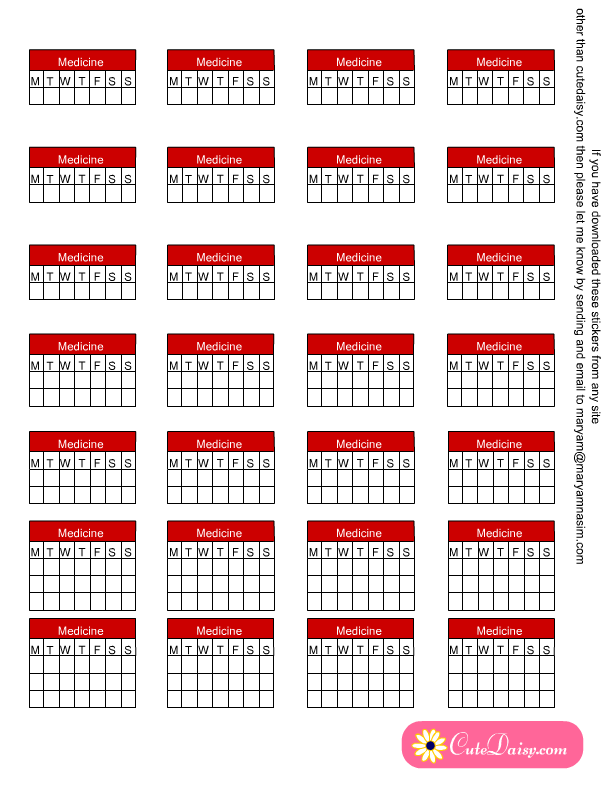 Today I made these Free Printable Medicine Tracking Stickers for Planner. 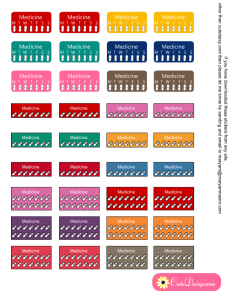 I have made images of medicine and also weekly medicine tracking stickers. 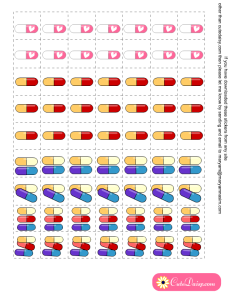 I have also made stickers for medicine that you need to take two times a day and three times a day. 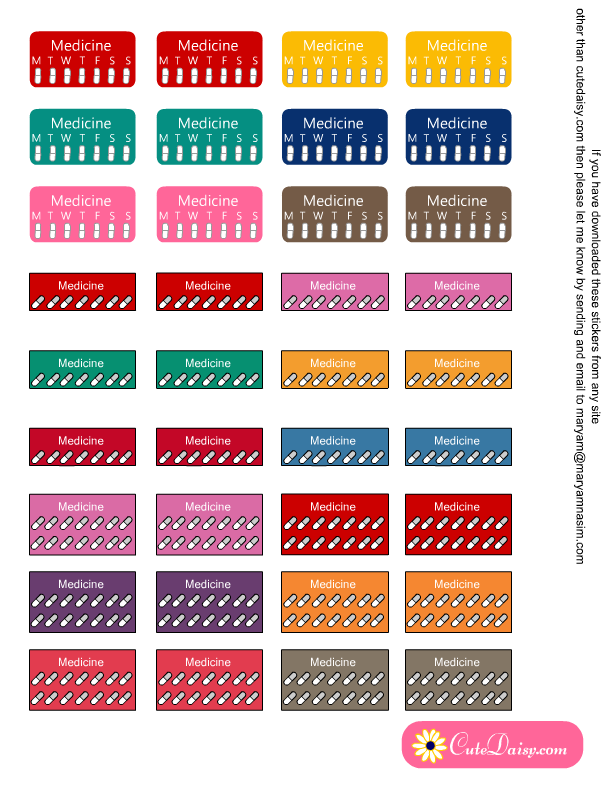 This is the first set of these medicine tracking printable stickers that I made today. There are 1″ square boxes so you can cut easily around the capsules by cutting the dashed lines. I have made cute capsules in pink color with hearts on those. 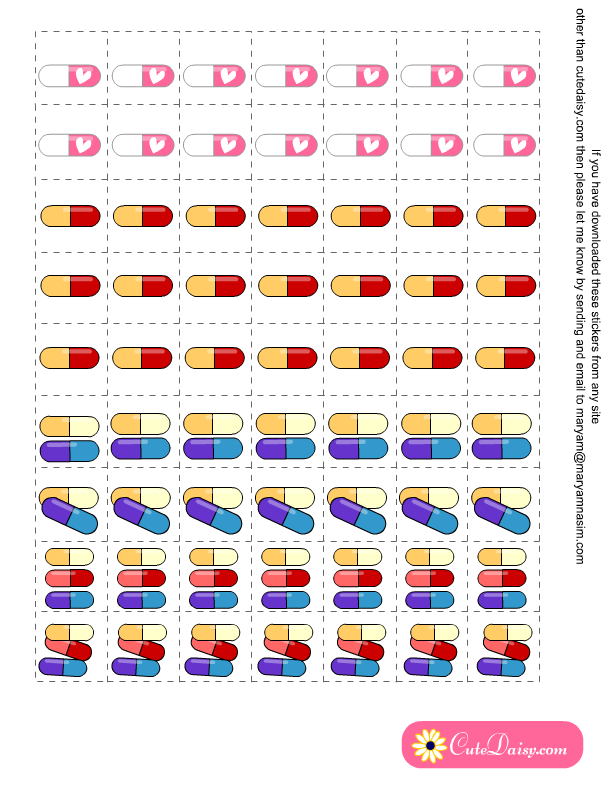 I have made single capsule image in box so you can paste these in your daily layout and cross when you have taken then medicine. There are two capsules, that represent intake of medicine in morning and night and you can cut 1 capsule after taking one dose of medicine and there are also three capsules that you can use if you have to take medicine three times a day. Click here to download the PDF image of this file. 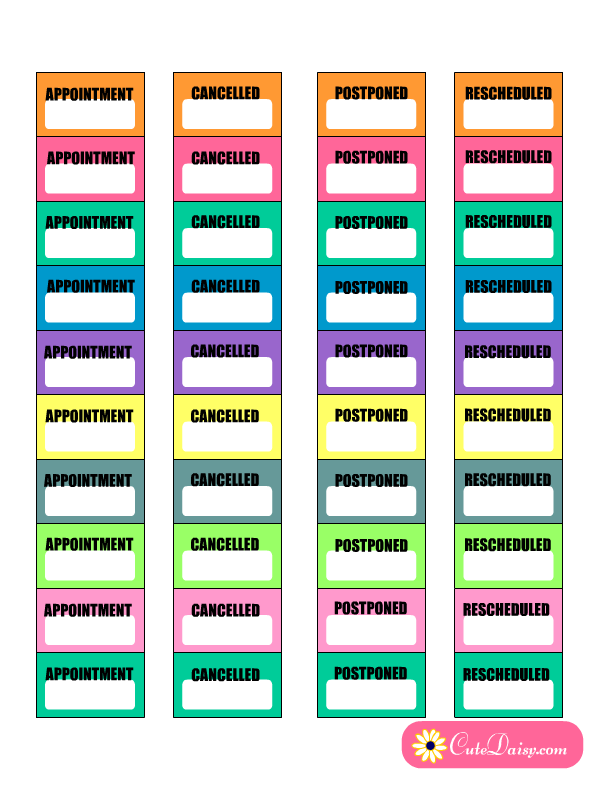 Here are weekly medicine tracking stickers that you can paste in your weekly planner layout. You can cut each capsule 1 by 1 after taking your daily dose of medicine. 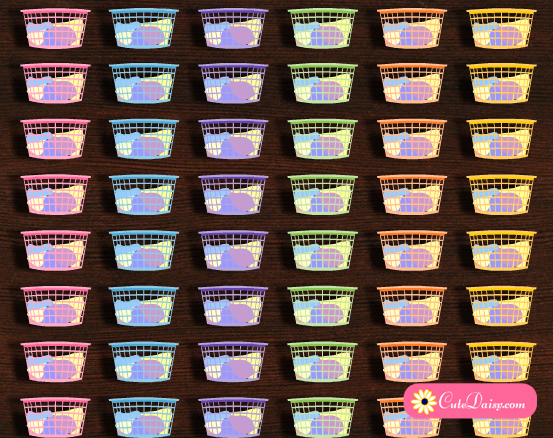 I have made these in different colors so you can use the color that matches your weekly layout. Click here to download the PDF version of these tracking sticker. 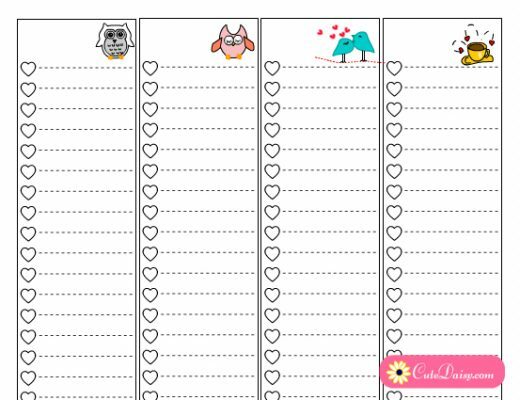 These stickers are 1.5″ in width so these will easily fit happy planner and erin condren life planner. You can scale the image if you are using some other type of planner. 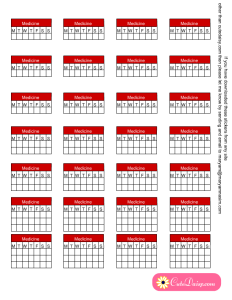 This is another set of weekly medicine tracking planner stickers. These will also fit Happy Planner and Erin Condren Life Planner easily. You can check each box after taking your medicine. I have made stickers with once a day, twice a day and thrice a day check boxes. Click here to download the PDF. I was about to make my own weekly meds tracker and then I found yours through Pinterest. Thank you!